Dr. David Mady has been a leading dentist in Windsor and Belle River for 25 years, with experience in a wide range of family dental care. He is the founder of Madison Dental, named after one of his daughters, and is proud to serve the Windsor community. Dr. Mady has been practicing dentistry in the Windsor, Belle River and the surrounding Essex County areas for many years. 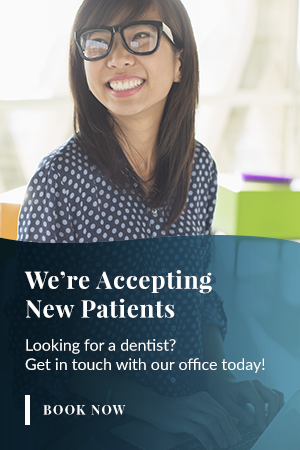 He brings his wide breadth of dental experience to his two practices, and provides a full range of services, including general dentistry, implants, cosmetic procedures, children's services, and much more. Dr. Mady's father, Dr. David Mady Sr., instilled his passion for family dentistry. As a practicing dentist for fifty years, Dr. Mady Sr. was instrumental in bringing oral and dental surgery to the Windsor/Essex County Area. Dr. Mady graduated from the University of Michigan School of Dentistry with the vision of providing quality dental care to his patients. This vision led him to establish his first family dental practice, Madison Dental, in Windsor. He soon opened his second practice, Alexis Dental, to provide family dentistry to the community of Belle River. Dr. Mady genuinely cares for his patients and their families and loves the social aspects of his work. He helps his patients maintain their oral health, and educates parents to form lifelong dental routines for their children. The mouth is where the nutrition and digestion begins for the health of the entire body. It's important to take care of your smile with regular checkups, as well as an at-home oral hygiene routine including brushing and flossing. Ready to book your appointment? Great! You will receive a confirmation email shortly after you complete the contact form. You may also call our office to speak to us directly.